When will Aboriginal issues get on the radar of Winnipeg mayoral race? 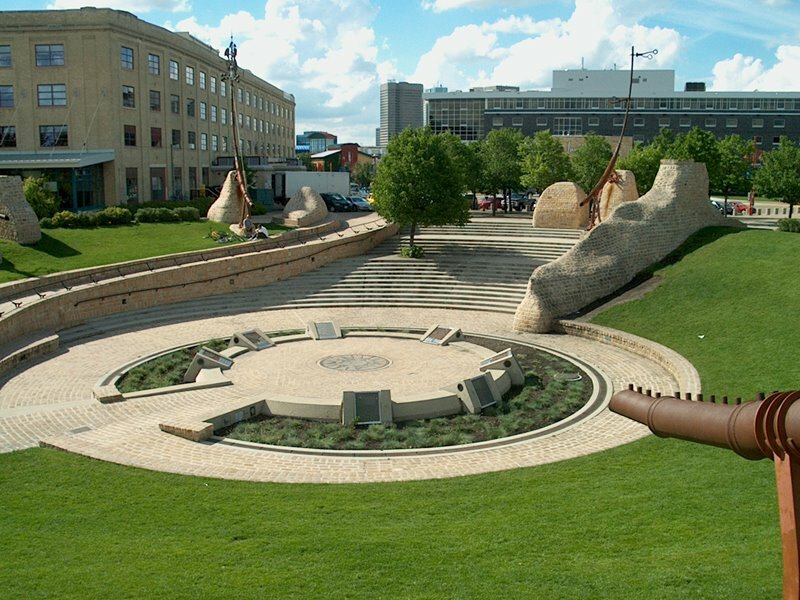 Between 2001 and 2006, the Aboriginal population in Winnipeg grew by 22%, from 55,895 to 68,380 people. The Métis population of Winnipeg grew by 30% over this time period, while the First Nations population grew by 13%. A tenth of the population is no tiny pocket of people. Which makes me wonder: why has there seemingly been no discussion of Aboriginal issues in this city’s mayoral race so far? An admittedly cursory look over the similarly cursory website for incumbent Sam Katz revealed no specific mention of Aboriginal people or how broader civic issues might specifically concern or affect them. An equally quick survey of his main challenger’s site, that of Judy Wasylycia-Leis, also came up dry in this regard. The vote is 7 weeks away. That’s still a fair bit of campaign time left, but it’ll go by quickly, no doubt. Will Aboriginal issues be left by the wayside? Let’s keep our eyes and ears open for what, if anything, the two candidates put forth in the way of policy proposals that address the specific needs of Winnipeg’s Aboriginal population. Meanwhile, why don’t we give Sam and Judy a hand? Whether you’re a Winnipegger or not, consider this your chance to lead the discussion on what kinds of policy and services any North American city with a large Aboriginal population should offer its First Nations/Métis/Inuit citizenry. In fact, let’s just open the discussion right up and ask: should there even be an Aboriginal-specific component to mayoralty campaigns in cities with large Indigenous populations? If so, what might these Aboriginal-specific issues be? We eagerly await your comments. POST-SCRIPT: Of course, there are other Winnipeg mayoral candidates and I am utterly guilty of leaving them off my radar. The other 4 people in the running for the mayor’s chair may be found at WinnipegElection.ca. Thus far, crime — and therefore the capacity to deal with it via the police — seems to have emerged as the campaign’s number one issue. It certainly gains quick and easy traction with the media desperate for any angle of interest to audiences. And as Aboriginal people know all too well, justice (including its application and administration) is a very real concern on both sides of the equation, whether we are victims of crime or offenders. My question is, have the factors that have led Aboriginal people to experience disproportionate rates of victimization/imprisonment been properly understood and identified by any of the mayoral candidates? If so, to what extent do their recommended policies improve the situation? The reference you found to Aboriginal peoples carries the implication that Aboriginal peoples present a “problem” to be dealt with. That whole mindset must change…any person who takes on this type of leadership role in a municipality or community has significant power to shift the dynamics away from this destructive and negative approach to one that builds towards positive relationships and mutual support.